Summer In Mara, a tropical adventure game inspired by the likes of The Legend of Zelda: The Wind Waker and Stardew Valley, has managed to smash its Kickstarter goal in less than 48 hours to secure a release on Switch. 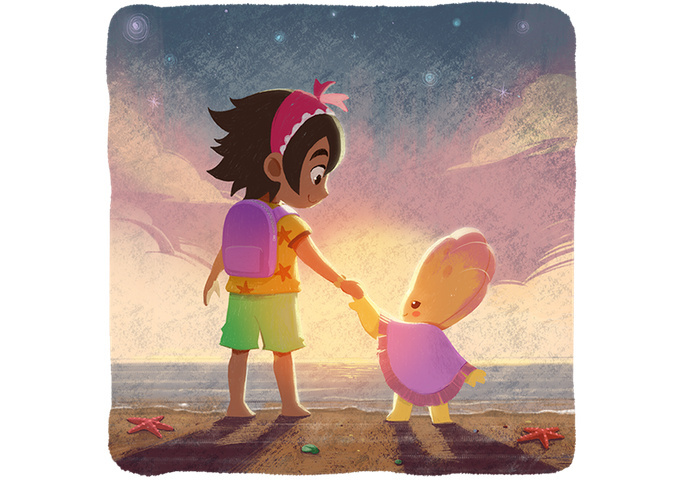 The game has you taking care of your very own island, customising it however you like and exploring "an open ocean full of places to travel and people to meet and trade with". The Wind Waker influence is clear to see, from the cartoony ocean vibes to the upbeat soundtrack, and this single-player experience is said to focus around both farming and crafting, too. In just one week, more than 1,500 backers have pledged their support to the game, with funds now nearing €40,000 with 23 days still left to go. The project still hopes to reach new stretch goals, which promise to bring new features, minigames and extra content. If you're interested in learning more, or wish to pledge your support before the crowdfunding project comes to an end, feel free to check out the Kickstarter page right here. The next stretch goal is set to add a surfing minigame, which sounds mighty fun to us. The game is aiming for a September 2019 release on Switch so, all going well, you won't have too long to wait to get your hands on it. Make sure to let us know whether or not you'll be backing this one in the comments below. Oh, please be in Physical release ! She was an orphan since baby. Nice game, I hope for a physical release and for a descent price. If this actually does come out and is as good as it looks this will be a day one for me. But since it's kickstarter you'll have to forgive me for being hesitant to assume it will come out as planned. I’m a sucker for these types of games so here’s hoping it lives up to the hype. I'll just wait for The Legend of Zelda: Wind Waker HD Deluxe, now with more wind! Games like this are always welcome imho. It would be cool to visit other players' islands, leave messages, and stuff like that. @Silly_G Now with the F1 Sail and Facebook integration for only $59.99! 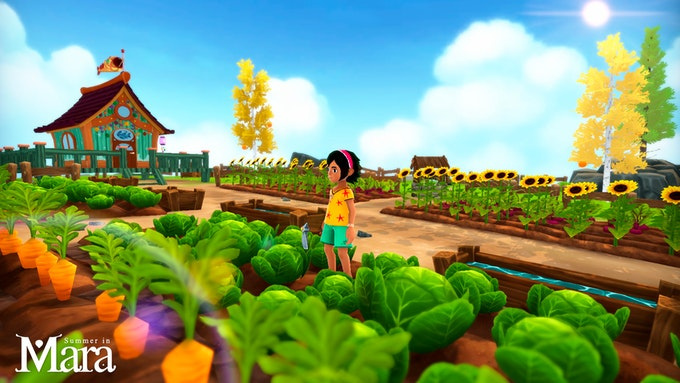 Dang, I’m more interested in the idea of a windwaker-style game than a farm simulator. If it gets good reviews I’ll check it out. ** = Parental consent required for children under 18 and unmarried adult children over 35. How much I love Wind Waker. Have it on Gamecube, bought the HD on the WiiU and I kind of hope not to be released on Switch, cause I might get it there too! This looks nice though. I feel like these peaceful worlds are how people want their to be, but they aren't. Not overcrowded, not spoiled, slow going. I like these too, but it seems like I just can't accept reality. Are they an established team that has produced a crowdfunded game before? If not skepticism is always warranted. @geox30 I'm with you on that... I am however all that is wrong in gaming at the moment. I am lapping up remakes and rereleases. If borderlands or bioshock were to ever be released on the switch i would be all over them. I just like having all my gaming on the one console and yes being able to sneak a game in while on my break on a Nightshift is amazing. Is kickstarter still a thing? @Silly_G WW HD deluxe will include all DLC from the Wii U version! oh wait... There isn't any DLC in that game. But I love WW and would triple dip in a heartbeat. Looks interesting until you see the Kickstarter logo. It says September 2019 so you might expect it to be released by 2022 if backers don't just get scammed. Looks interesting. Thanks for sharing. Does anyone on here knows if it has Physical I looked but can't see one listed on the kickstarter site? Will be a physical edition? At the moment, we don’t have plans for a physical edition of Summer in Mara game. If this Kickstarter goes well and we found a partner that can help us, we will love to have one. I also find very appealing to be able to play some games I really like on this particular platform, on the go especially. Also, there are some games that I just can't force myself to dedicate the time and effort to play on my PC desk. I much prefer the convenience of the Switch. That being said, some times even this convenience can't justify the cost. I loved every minute of Tropical Freeze, but I just couldn't buy NSMBU for the second time, full price. 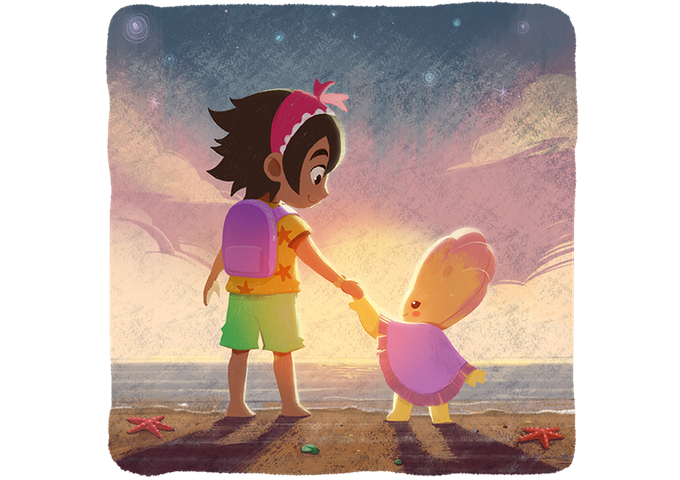 This looks promising - cutesy graphics, nice soundtrack and relaxing gameplay, definitely up my alley. Might take the plunge and back it. I think I already learned from buying Yonder how these BOTW-ish games are always a let down. I will have to wait for actual reviews and gameplay videos. A game with the same name as my daughter and based on the best game ever. Must buy for me! Oh wow that's not even subtle with the heritage. Looks nice but I'd rather it be a full on adventure game. In the meantime Wind Waker HD on Switch would be more than welcome. Is it weird I want to play as the girl...? For those skeptical, the developers here have already released two amazing games on iOS and delivered on their Kickstarters on time and to expectations! They made Tiny Planet and Ankora! As well as Deiland on PS4. I really hope I won't forget about that once it comes out. It looks really interesting to me, as it seems to have very relaxing gameplay. So yeah, I'm looking forward to it!